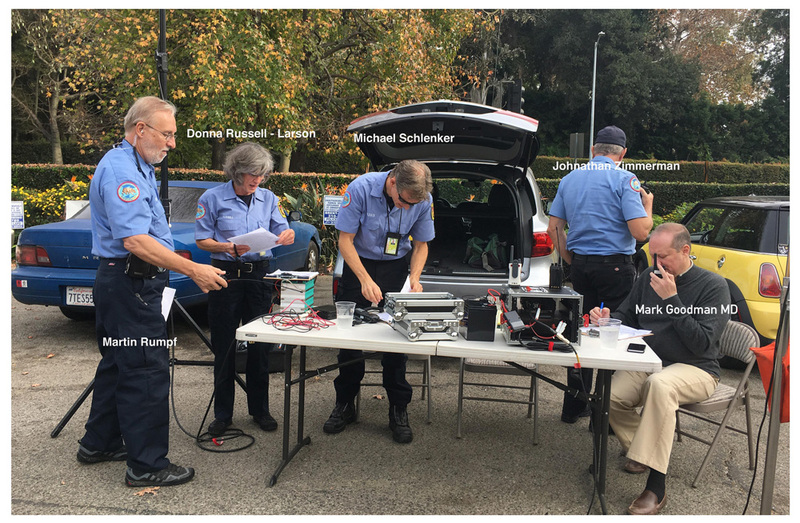 If you noticed people driving around Bel-Air last Saturday with hand-held radios, they were assisting Bel-Air Association’s Emergency Preparedness Committee with testing radio propagation in an effort to better facilitate communications throughout Bel-Air in times of crisis. 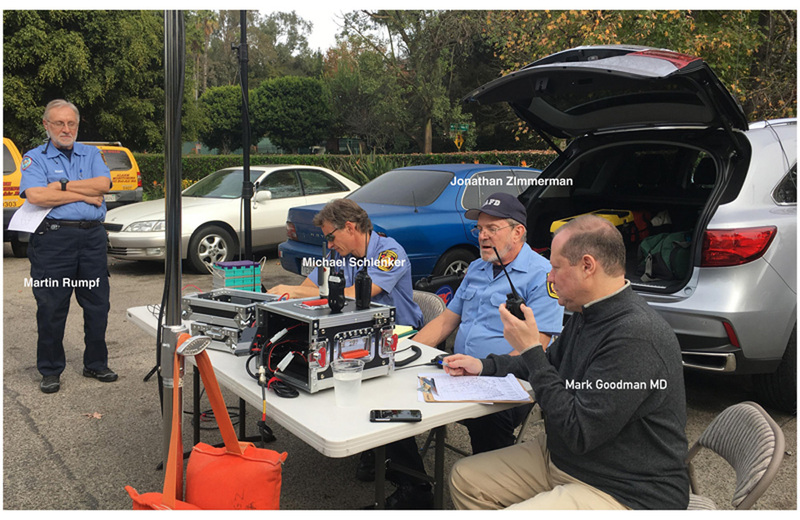 The Bel-Air Association’s Emergency Preparedness Committee, headed by Mark Goodman, MD, worked with the LAFD Auxiliary Communications Service to run tests on various Bel-Air locations. Bel-Air residents who assisted were Marcia Hobbs, Jamie Meyer, Gail Sroloff, Dr. Linda Whitford and Maureen Levinson. They were teamed up with LAFD ACS (not to be confused with ACS Security). Los Angeles Fire Department Auxiliary Communications Service provides the City and the Citizens of Los Angeles with professional communications services using volunteers and volunteer provided equipment under the direction and authority of the City Radio Officer and the Los Angeles Fire Department. If anyone is interested in participating with radio communications, please contact BAA Emergency Preparedness Chairperson, Mark Goodman MD, through the BAA office at info@belairassociation.org or call (310) 474-3527. Do you want to listen in to LAFD's live radio and read LAFD Twitter notifications? Link here to the LAFD ACS website. Michael Schlenker, KD6BAC - Bel Air Crest/Battalion 10; Jonathan Zimmerman, K6JGZ - North Hollywood/Battalion 14; Martin Rumpf, KM6JWV - Woodland Hills/Battalion 17; Ron Cornell, KD6VSM - Bel Air Ridge/Battalion 10; Donna Russell-Larson, KK6YTI - Bel Air Park/Battalion 10; Dennis Koci, KK6YTJ - Mountaingate/Battalion 10; Frank Rosato, KM6KUI - Hancock Park/Battalion 18; John Gilbert, KM6NEA - Sherman Oaks/Battalion 10; Sally Thompson, KM6LYD - Northridge/Battalion 15.